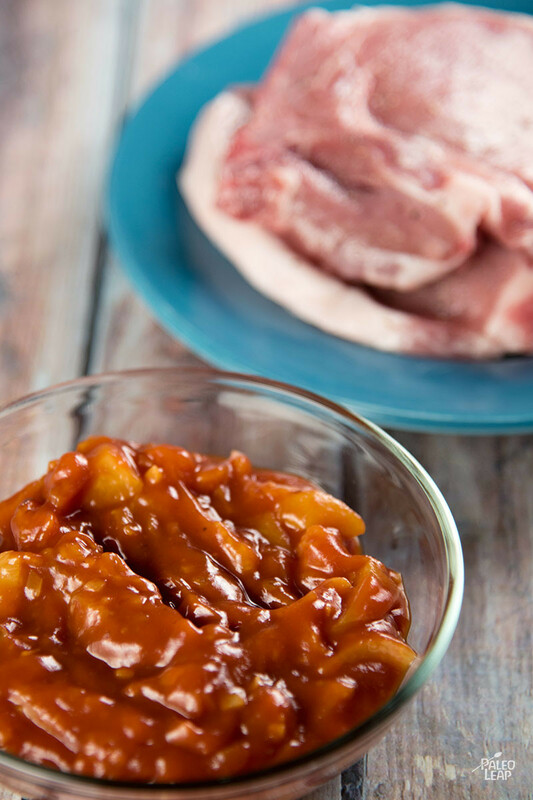 Barbecue sauce is a summer classic: make it even better with fresh peaches and a little bit of ginger for a slightly different twist on the BBQ pork experience. With peaches in season, now is the perfect time to take advantage of them – they’ll never be juicier! The sweet BBQ sauce is also a good tool for enticing kids into the Paleo world, especially if they’re used to extremely sweet sauces with sugar as the first ingredient. But adults will love it, too, and if you like it a little less sweet, you can leave out the honey or reduce it to your taste. You’ll need some homemade ketchup to get the BBQ sauce ready, but if you don’t have any, it’s super-quick to mix up a batch, and you’ll use it for so many things. In fact, you could even get a head start on using it by making some Paleo fries of your choice to go with your pork chops. And if you still have extra ketchup, just freeze it for later in an ice cube tray; then you’ll have serving-sized amounts ready to defrost and go when you want them. SERVES: 4 PREP: 20 min. COOK: 12 min. Season the pork to taste with sea salt and freshly ground pepper. Grill the pork chops for 4 to 5 minutes per side. 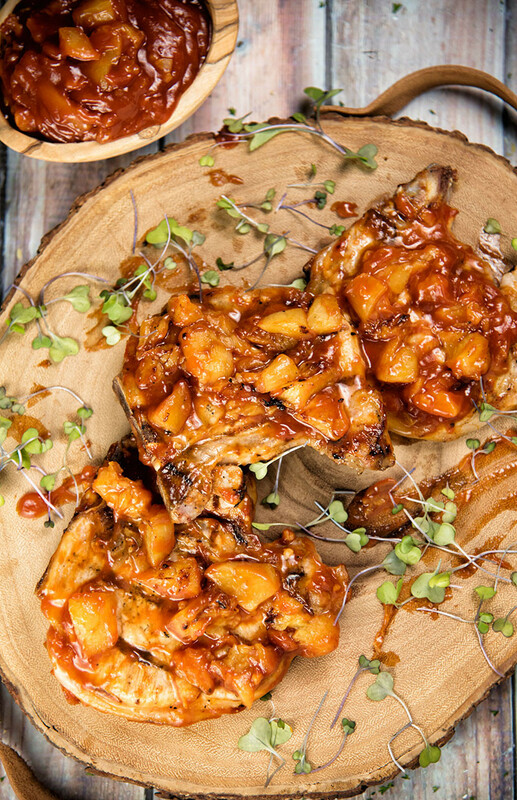 Baste the pork chops with peach BBQ sauce and cook for another minute on each side. Serve the pork chops with fresh thyme and extra BBQ sauce.